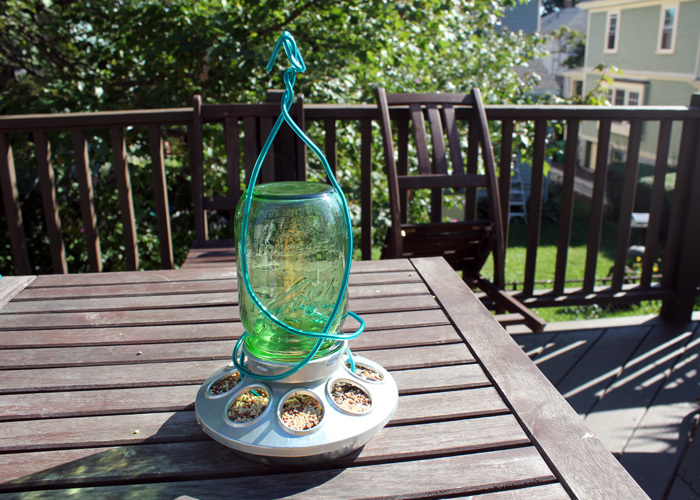 Bird-lovers will find this idea of recycling mason jars very interesting. 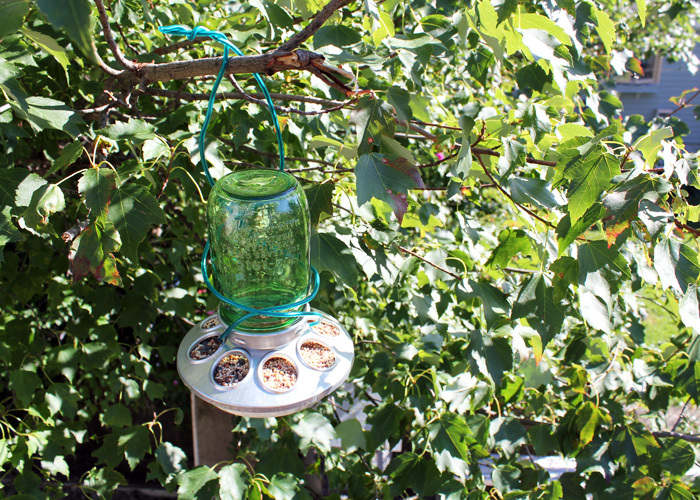 I made mine inspired by a post in Home Grown and ever since I have been happy to note a steep rise in the number of winged visitors to my garden. I am glad to provide a tutorial here on how I did it. 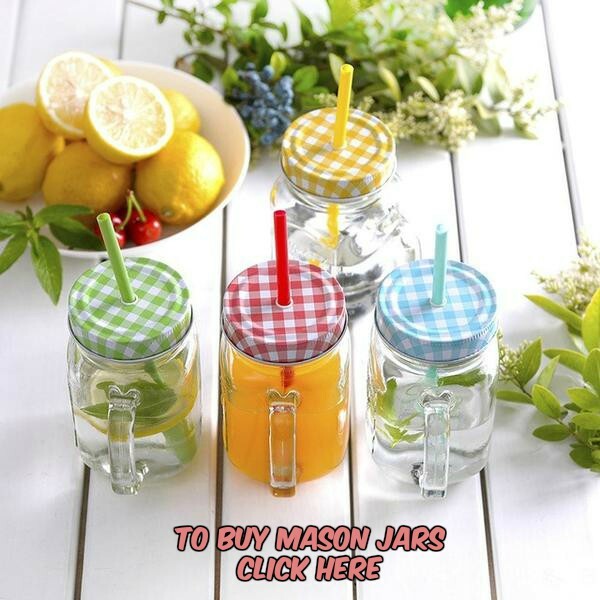 Remove the ring and lid of the mason jar. Set them aside as you will not need them. 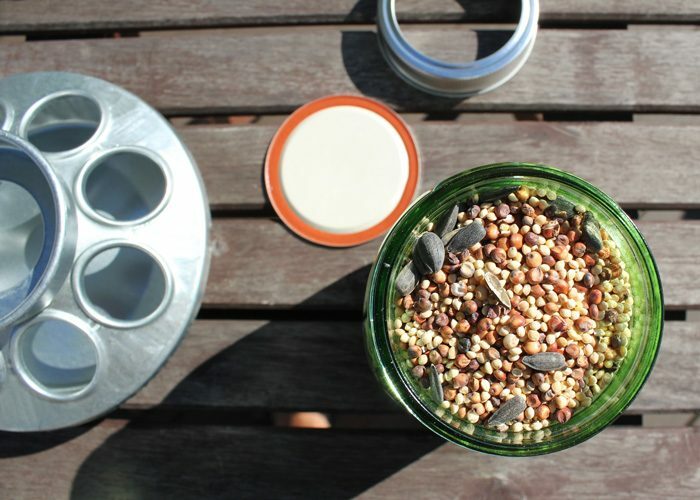 Fill up the jar with birdseed. 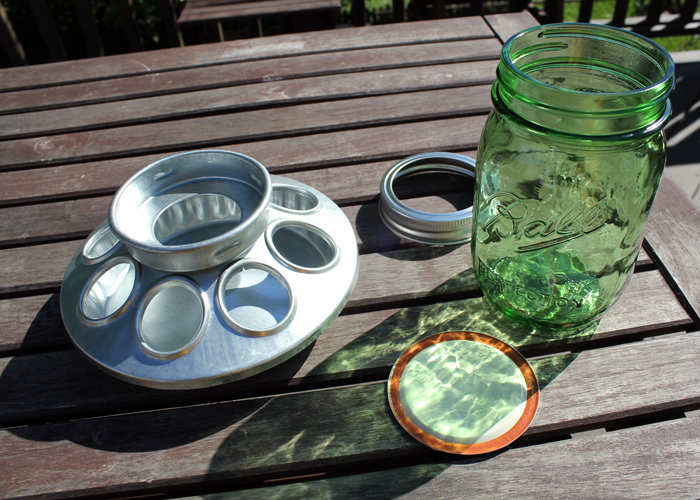 With the jar sitting upright, screw the galvanized chicken feeder onto its rim. 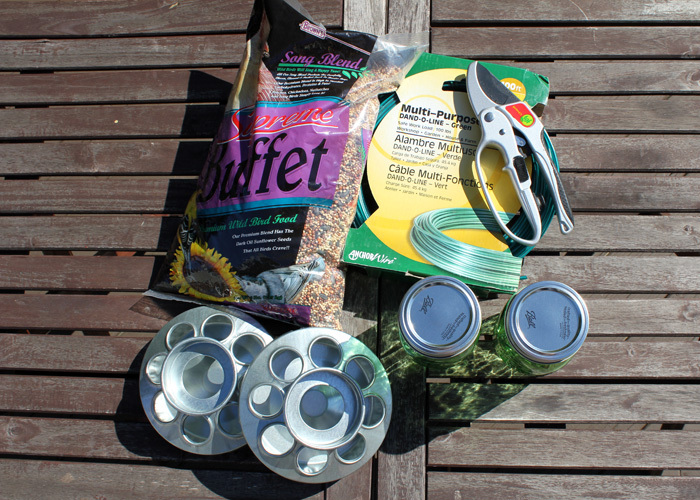 Flip the arrangement over and thread the wire through a couple of oppositely placed holes in the chicken feeder. Wrap the wire up in gladiator sandal style. 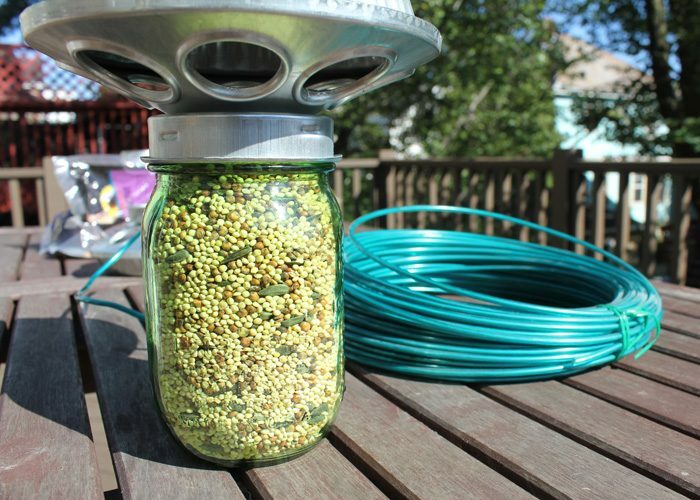 Twist the ends around one another a few times to secure tightly. Cut off excess, if any. Bend the ends to resemble hooks. 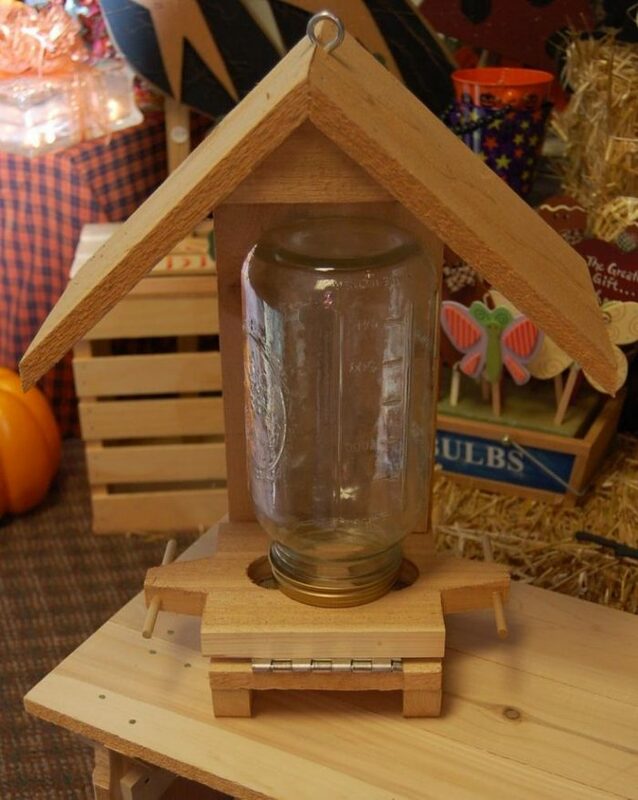 Here is a great plan to make your mason jar bird feeder out of wood. 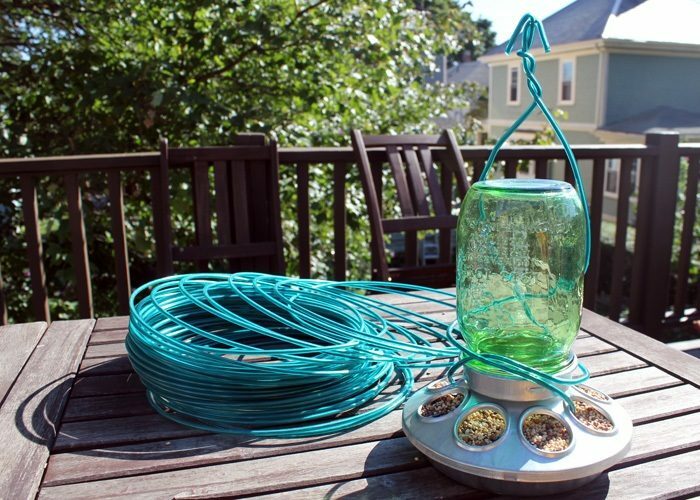 A bird feeder made from a mason jar will speak volumes about your creativity. A wonderful birdwatching experience is an added plus. Do keep a camera handy in case wild birds come visiting.